While it may seem odd that the word "new" should be associated with something as old as farmers' markets, the authors of the book The New Farmers' Market maintain that the vibrancy of even our most modern urban centers goes hand-in-hand with the vitality of the surrounding rural areas - with farmers' markets as their meeting place. Publication of The New Farmers' Market comes on the heels of last year's U.S. Conference of Mayors Annual meeting (June, 2001) where the policy "Promoting the Preservation of Urban Influenced Farmland" was adopted. This policy recognizes that the preservation of nearby farmland helps provide food supply stability while contributing to the overall quality of life in metropolitan areas. will be invaluable for the farmers' market industry." 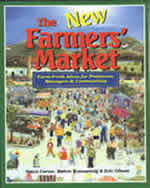 Ten free selections from the book, including "Hottest Products to Sell," "Selling to Ethnic Groups," "Special Events at your Market," "Educating the Public About Local Agriculture & Farmers' Markets," and "Getting Grants for your Market" are available as PDF files at http://www.nwpub.net/nfm.html. The New Farmers' Market: Farm-Fresh Ideas for Producers, Managers & Communities, by Vance Corum, Marcie Rosenzweig and Eric Gibson. For further information, visit http://www.nwpub.net/nfm.html. ForestWorld recently launched a first-of-its-kind Certified Forest Products Marketplace on its newly redesigned web site, http://www.forestworld.com. The Marketplace connects buyers and suppliers of certified forest products through a sophisticated Request-for-Quote (RFQ) system. Buyers of Forest Stewardship Council (FSC) certified forest products submit RFQs for specific products that are then blast faxed or emailed to FSC-certified producers around the world who can meet the buyer's needs. ForestWorld's staff tailors each RFQ to match exactly the product, species, grade, and geographical restrictions of the buyer's needs. Registered suppliers are then able to quote directly to the buyer's email in-box or fax. According to Mark Comolli, ForestWorld President, "ForestWorld's new Certified Forest Product Marketplace is designed to reduce the time lost and frustration in finding FSC products. There is no other system like it in the FSC marketplace today." The Marketplace is of considerable benefit to suppliers of certified wood products because it acts as an extension of a company's sales department, giving it contacts with a diverse group of global FSC-certified timber buyers. Buyers benefit as they find what they need quickly, expand their supplier base, and find the most competitive prices in a challenging market sector. Architects, builders, and contractors that want use certified wood to help qualify for U.S. Green Building Council LEED certification will find the Marketplace especially useful. The Marketplace can help users secure up to five LEED points for a building project. For more information about or a demonstration of the Certified Forest Products Marketplace, visit http://www.forestworld.com. "For the first time since the oil age began, the world has the technology to wean itself from petroleum coming from the politically volatile Middle East," says Lester R. Brown in his new book, Eco-Economy: Building an Economy for the Earth. 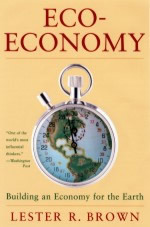 The book is available for free as PDF files at http://www.earth-policy.org/Books/index.htm. The needed restructuring of the global economy has already begun, Brown reports. During the last decade, the use of wind power grew by 25 percent a year, solar cells at 20 percent a year, and geothermal energy at 4 percent annually. From 1995 to 2000, world wind electric generation expanded nearly fourfold, a growth rate previously found only in the computer industry. "Wind power has an enormous potential," said Brown. "According to a U.S. Department of Energy wind resources inventory, three of the most wind-rich states - North Dakota, Kansas, and Texas - have enough harnessable wind energy to satisfy national electricity needs." With today's concern about national security, the generation and distribution of electrical energy is recognized as one of America's most vulnerable areas. But electricity generation doesn't have to be a security risk, if new power sources are decentralized, smaller and closer to the customer. One such source, which appears to have great potential for supplying reliable, affordable energy, is the fuel cell. Fuel cells convert fuel, usually hydrogen, into electricity at high efficiency, without combustion and with negligible emissions. "Fuel cells will rapidly become economical if their proponents can capture their benefits as small, decentralized power sources." industrial power, and it is generously illustrated with graphs, charts and full-color photos. In Cleaner Energy, Greener Profits, Swisher finds that, over the next decade, the electric power industry will continue to shift from the traditional centrally focused "generation-transmission-distribution" companies into a more competitive and heterogeneous structure. In this new environment, the use of fuel cells will rapidly become economical if their proponents can capture their benefits as small, decentralized power sources. Fuel cells and other such distributed generation sources require less initial investment and don't result in overbuilding of capacity as do large power plants. They require less power distribution infrastructure (wires and transformers) because they can be sited close to where the power is used. They are cleaner and quieter than conventional power generation sources, so they can be located near or inside buildings where their output is used. And, equally important, they are more reliable. Cleaner Energy, Greener Profits is available in PDF format at http://www.rmi.org/images/other/E-CleanerGreener.pdf. For more than 30 years, the Izaak Walton League has been a leader in wetlands protection, and as a part of that role it sponsors the American Wetlands Campaign. The 2002-2003 theme for the Campaign is "Bogs, Playas, Pools: Protect America's Unique Wetlands." Activities and wetland conservation efforts that fit this theme include the protection of vernal pools, prairie potholes, bogs, fens, cypress domes and other ephemeral and "isolated" wetlands. The League picked this particular emphasis as a result of concerns raised by a U.S. Supreme Court ruling (Solid Waste Agency of Northern Cook County vs. U.S. Army Corps of Engineers). The ruling created gaps in federal protection of isolated wetlands. The League believes that community education and action is needed to fill these gaps. Fact sheets, background information, and project ideas related to this theme are now available on the League's web site at http://www.iwla.org/sos/awm. In addition, the site includes general fact sheets on wetland ecology and conservation, information about invasive plants and their removal, case studies of successful wetland conservation and education projects, and step-by-step guides for organizing projects. Each May, the League promotes American Wetlands Month. Communities celebrate the uniqueness, beauty and importance of wetlands through on-the-ground projects, activities and events. The League kicks off the month with events throughout the country. Information on these events and information about the 2003 American Wetlands Campaign conference is also available on the League's web site. For more information, visit http://www.iwla.org/sos/awm. Building with Vision: Optimizing and Finding Alternatives to Wood is an easy to read, visually dynamic resource tool that allows architects, builders and owners to explore and envision a variety of opportunities to use tree-free, recycled, and FSC certified wood materials and structural systems before projects begin. Written by Dan Imhoff with photography by Roberto Carra, Building With Vision makes accessible many solutions to wasteful tree-dependent construction and design. In addition to identifying the benefits, challenges, and applications of the recommended alternatives to contemporary American construction, this book details building methods to minimize wood waste, maximize efficiency, and emphasize the unique aesthetic properties of non-wood materials. "Today, as this timely and useful book outlines, we have a multitude of choices available to us in designing and building without destroying forests or polluting the planet," says Sim Van der Ryn, California architect and Director of the Ecological Design Institute. Part resource guide, part photo essay, this 136-page book features beautifully composed, nearly tactile photographs that bring to life an array of alternative materials. Case studies highlight successful building projects utilizing innovative and effective framing, siding, insulation, roofing, and finishing materials and techniques. For more information or to order Building with Vision, visit http://www.watershedmedia.org. 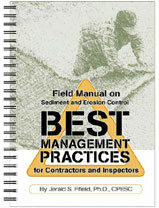 Field Manual on Sediment and Erosion Control: Best Management Practices for Contractors and Inspectors is a practical book intended to be used on the job site. Based on firsthand experience, it includes: Preconstruction planning; Installing and inspecting drains; Sediment containment systems; Maintaining established vegetation; EPA rulings for construction sites; Federal, state & local regulations; Evaluating, inspecting & maintaining BMPs; Illustrations of the most widely used BMPs; Reducing wind erosion; and, Methods for cutting down on offsite runoff. It features lots of clear, easy-to-follow diagrams that show what to look for in proper installation and maintenance. Tells how to insure compliance with water-quality, NPDES, and other regulatory requirements. Written by Jerald Fifield and published by Forester Press as a compact, sturdy, spiral-bound volume, it condenses in-the-field knowledge into a highly practical field manual. For more information or to order, visit http://www.ForesterPress.com. What would the perfect carpool-matching system look like? Datasphere Corporation's pioneering solution for a hassle-free, instant, and precise carpool matching website, carpoolworld.com, makes it easier than ever for commuters everywhere to find perfect matches for their daily commutes. Carpoolworld.com uses the commuter's exact latitude and longitude coordinates to find the best matches for any trip, and the website includes many advanced features to make the self-service system easy to use and fast. It includes a 'shortest detour' function, which tells the commuter whether he or the other commuter should be the driver, and has enhanced latitude and longitude retrieval functions. To get better carpool matches, commuters can use related mapping sites to look up the coordinates for their exact street addresses. The available data is precise enough to match commuters based on the specific building where they work. The carpoolworld.com website also provides a wealth of information about U.S. government carpooling incentive programs and comprehensive links to Internet map sites. A shareware version of the same unique trip-matching software (for small self-contained trip-matching applications for schools, private employers or other organizations) is also available. For further information, visit http://www.carpoolworld.com.